The University of Texas at El Paso - Professors and students are gathering to bring well-informed speakers to UTEP with the intention of having an open discussion about our current drug policies and the war on drugs. We need to have an honest dialogue about the issue in order to help educate our society and find solutions to the detrimental effects the war on drugs has caused for the past four decades. 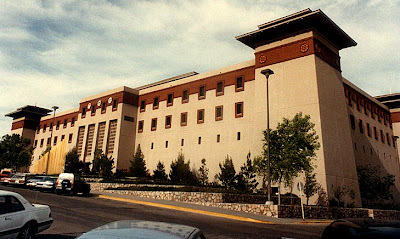 Welcome to UTEP's War on Drugs Conference Blog. The conference will be taking place September 20th - 22nd at the University of Texas at El Paso.